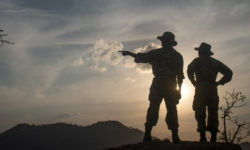 Operation Sahel Giraffe commenced in early November 2018, after a year of meticulous preparation. 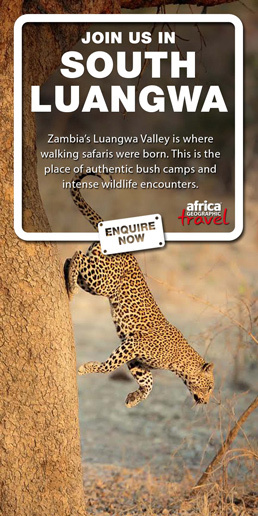 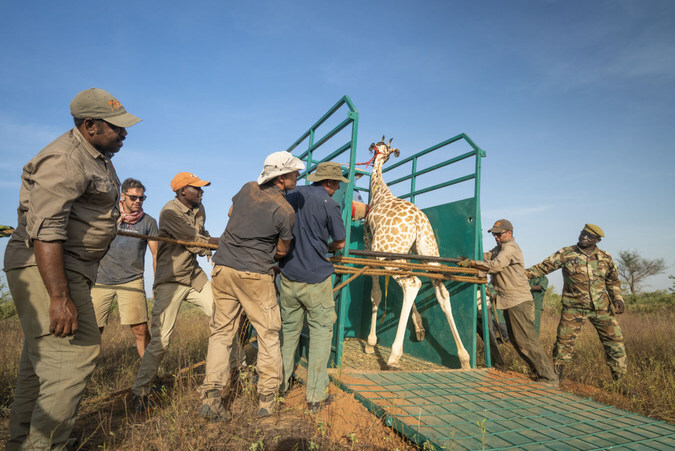 Eight giraffe were individually captured in the ‘Giraffe Zone’ and transferred to a holding pen (boma), where they were kept for more than three weeks to prepare them for the long journey. 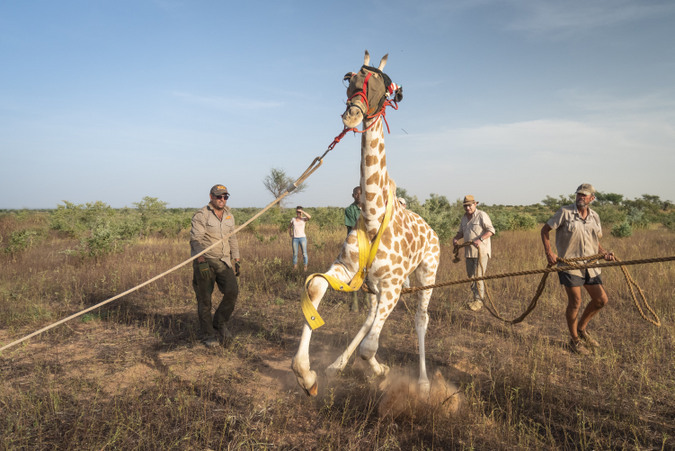 The eight giraffe were then transported in two groups of four, an arduous journey for both the giraffe and the team, before their successful release in Gadabedji Biosphere Reserve recently. 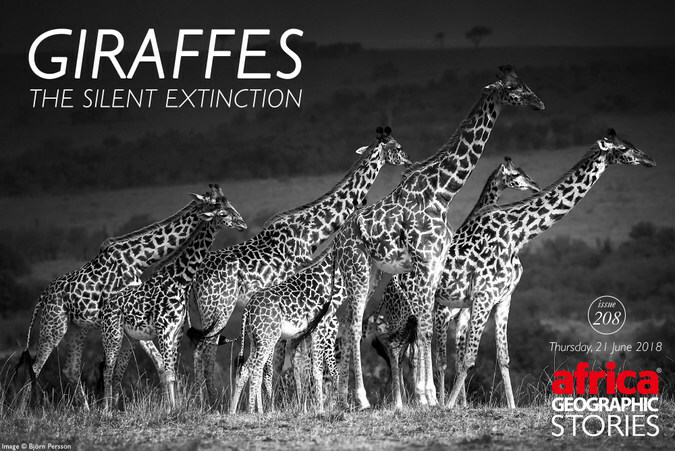 Almost 50 years ago, giraffe became locally extinct in the Gadabedji area because of drought and illegal hunting. 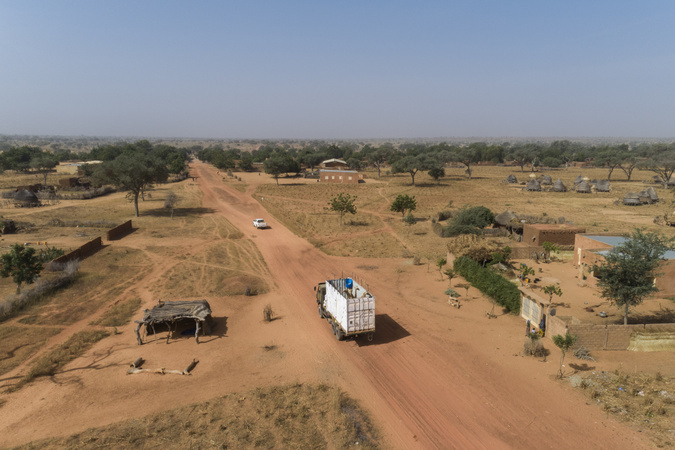 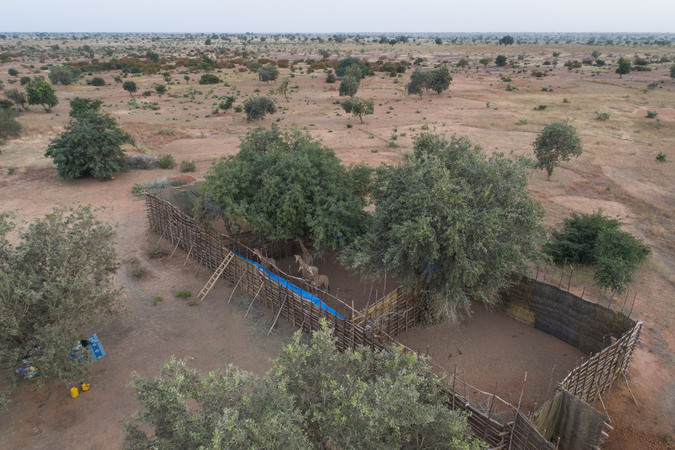 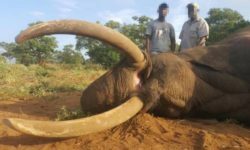 Since 2013 Niger’s Wildlife Authority, with support from the Niger Fauna Corridor Project/UNDP, has worked diligently towards restoring the region’s wildlife and their habitat. 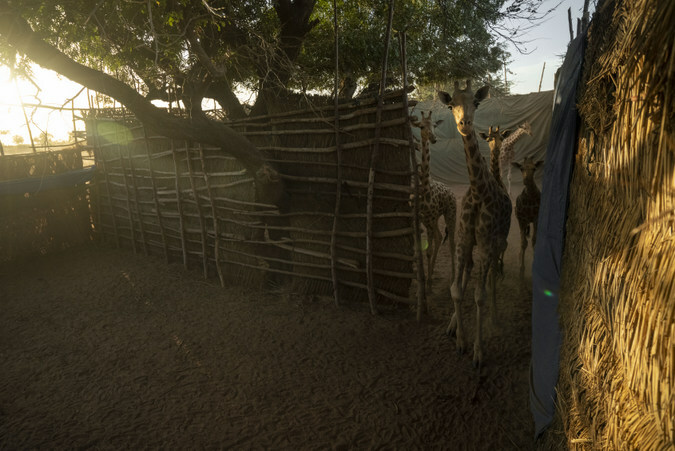 The re-introduction of giraffe will further enrich the reserve’s biodiversity and contribute to increasing community development and support in the region. 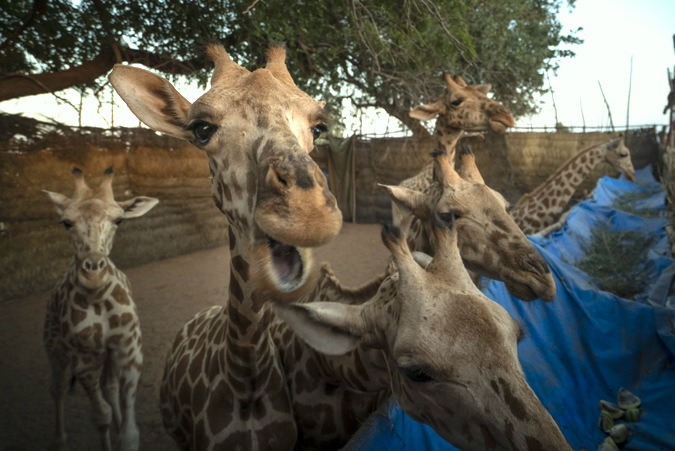 In the mid-1990s there were only 49 West African giraffe left in the wild, and as a result the subspecies was listed as ‘Endangered’ on the IUCN Red List of Threatened Species in 2008. 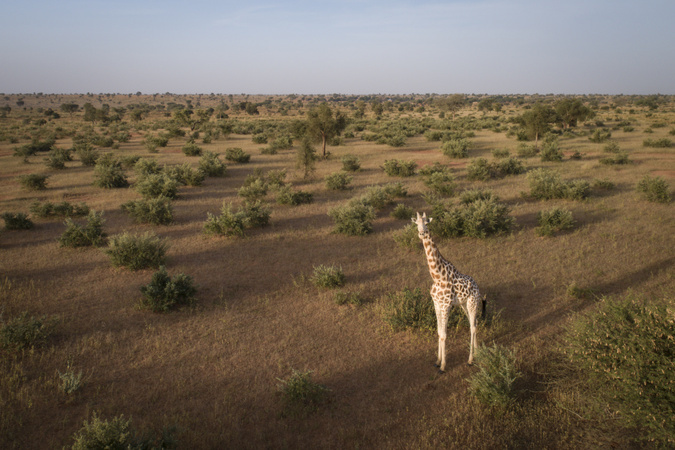 Comprehensive conservation efforts by the Government of Niger, in collaboration with local and international partners, have triggered an amazing recovery of the West African giraffe population to over 600 individuals today. 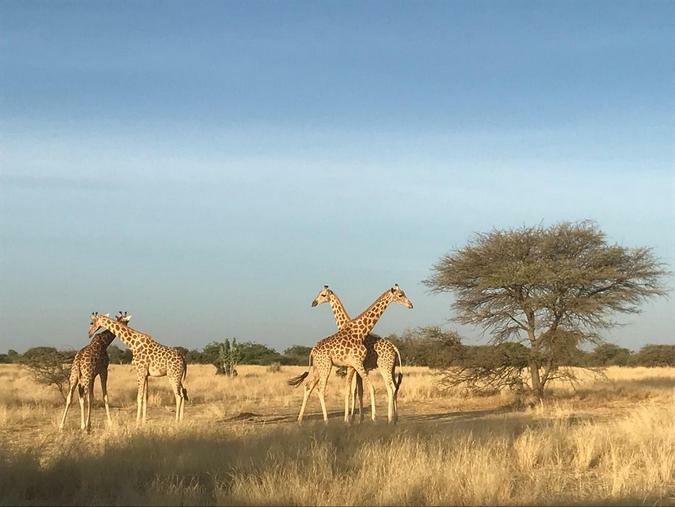 This positive trend resulted in the downlisting of West African giraffe to ‘Vulnerable’ on the IUCN Red List last month (November 2018). 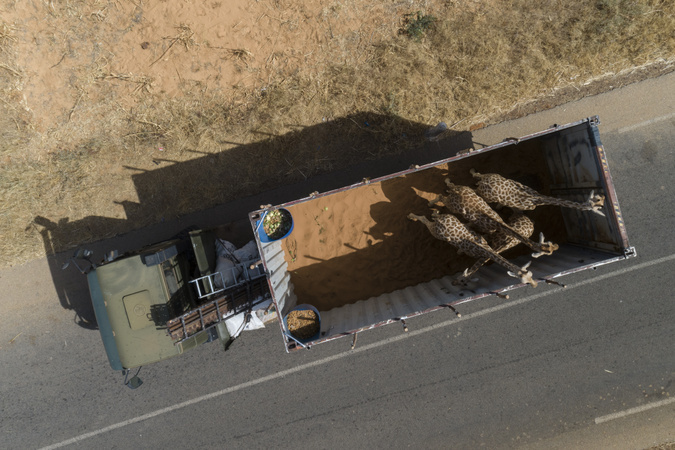 Operation Sahel Giraffe has been a partnership between the Giraffe Conservation Foundation, Sahara Conservation Fund, Niger’s Ministry of Environment, and the Niger Fauna Corridor Project/UNDP. 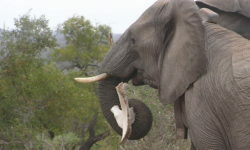 Valuable support was provided by Ivan Carter’s Wildlife Conservation Alliance, San Diego Zoo Global, Saint Louis Zoo, Born Free, and Prague University of Life Sciences. 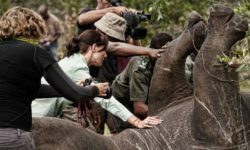 Further field support was provided by Dr Pete Morkel, Dr Philippe Chardonnet, Niger Directorate of Veterinary Services, Cheri Morkel, David O’Connor (San Diego Zoo Global), Dr Liza Dadone (Cheyenne Mountain Zoo), Andrea Bryant, and Sean Viljoen.